Ama is a key factor in ayurveda, which produces in the body due to low digestive fire in the alimentary canal and at cellular or tissue level. Ama can block the channels in the body, which results in various diseases. Ama can also be defined as toxic particles formed in the body due to ill digestion and ill metabolism. According to Ayurveda, proper digestion of food is one of the most important processes in a human body. 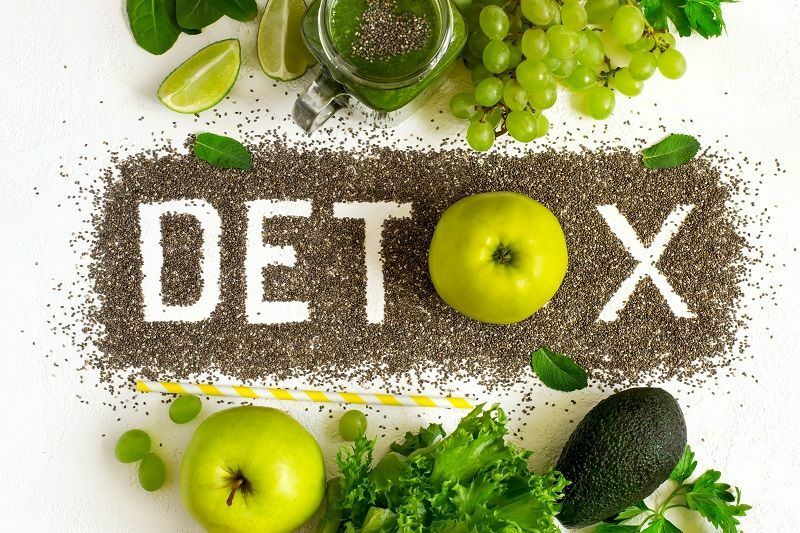 In case, the food is not digested completely and properly, a toxic residue is created and that can convert into AMAVISHA (toxins) and penetrate deeper into the body cells. 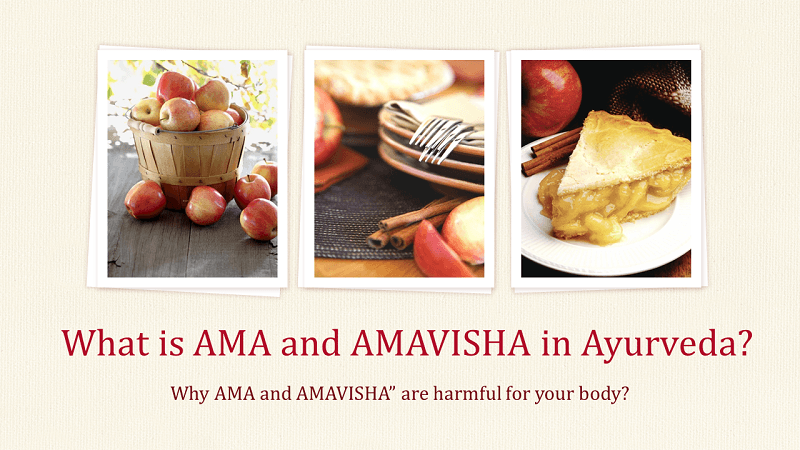 This accumulation of “AMA or AMAVISHA” is harmful for the body. When there is low digestive fire in the alimentary canal including stomach and intestines, it leads to insufficient and ill digestion of food particles and some food particles remain undigested, which is known as AMA. However, this type of AMA can only result in digestive ailments such as indigestion, appetite loss, malabsorption etc. It is not absorbable into the blood or lymph. When AMA further metabolizes in the alimentary canal, it produces a toxic substances, which are known as AMAVISHA. Intestines can absorb this AMAVISHA into the blood or lymph. It can also mix with Humors (DOSHA), tissues (DHATUs) and wastes products (MALA) in the body, which leads to various diseases. The cells and tissues further process the absorbed nutrients (including major and minor nutrients) and use them for their energy requirement, growth and development. There is a metabolic power in every cell and tissue, which is called DHATU-AGNI in ayurveda. When this DHATU-AGNI (metabolic power) becomes weak, it leads to improper processing of nutrients. Due to ill metabolism in cells and tissues, AMA is also formed at cellular and tissue levels, which results in weakness of the DHATUs. Further, this AMA can also clog the micro channels including information flow between the cells, which results in diseases. These diseases can occur at weakest part of the body where AMA can accumulate easily. The bioaccumulation of external or environmental toxins in the body is called GARVISHA. It also results in several diseases that occur due to pollution. The following signs and effects indicate AMA accumulation in the body. Avoid packed and preserved foods, processed foods, frozen foods and junk foods. Avoid drinking water up to 30 minutes before meal and 2 hours after meal. Take a balance diet, which includes all types of foods especially vegetables and fruits. Mix all six tastes (sweet, salt, sour, bitter, pungent and astringent) in every meal. Always allows the previous meal to digest properly before next meals i.e. eat only when you are hungry. Do not eat too slow or too fast. A healthy eating is the basic step towards a complete cure from the accumulation of AMA. Your newsletters are very beneficial. I am very thankful to you for introducing me to ayurveda & making its concepts clear. You are doing great service. This particular letter about AMA is very beneficial. Thanks again. Now, I request your good self to intimate how we can increase metabolism & internal fires. Soon, we release an update regarding this. Thanks again for very quick response. Dear Dr. Jagdev, your news letters about AMA, and its signs & effects are very much useful for me, really you are doing good job, I expect more like this news letters from you, thanking you.